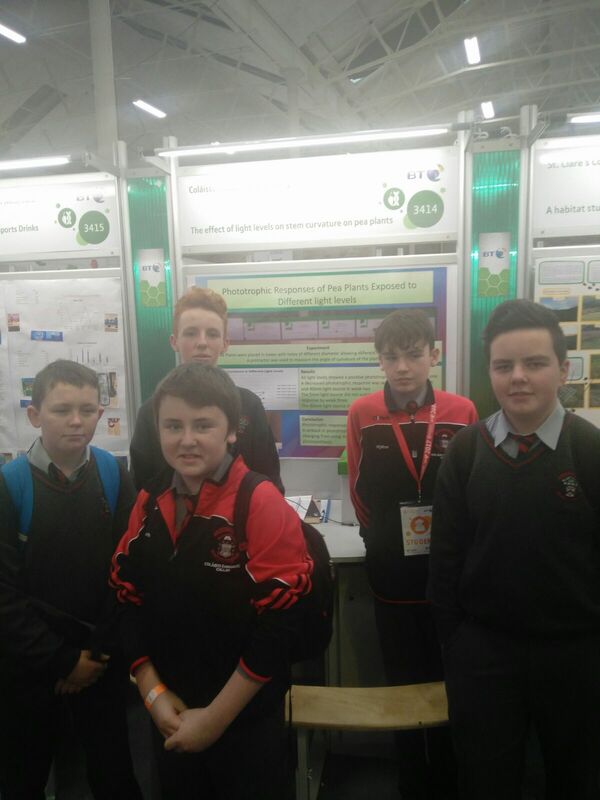 Young Scientist 2016/17 | Coláiste Éamann Rís, Callan, Co. Kilkenny. 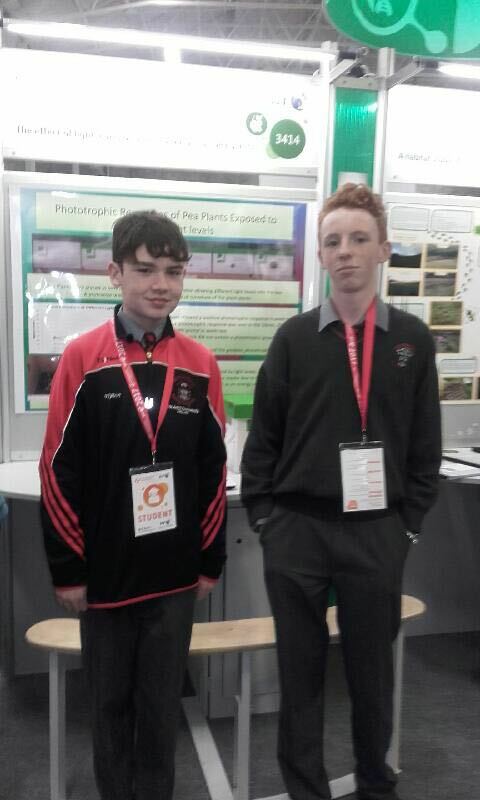 Colaiste Eamann Ris were very proud to have two students representing the school at the BT Young Scientist Exhibition 2016/17 in the RDS Dublin. Philip and Lukes project was about the phototropic response in plants when exposed to different light levels. To do this they cut out holes of varying sizes and placed them on the windows in the science lab, they then measured the curvature of the plants using a protractor, they did this 3 times, once a week, then they got an average curvature for each box to see if there was a difference in the curvature between plants from different boxes. The two lads worked very hard on their project throughout the year with much help from their wonderful teacher, Mrs Stapleton. Well done to the lads and also their teacher for helping them along the way. No doubt Philip and Luke would love to return to the Young Scientist in the near future. This entry was posted in School Promotion, website, Young, Young Scientist and tagged BT Young Scientist. Bookmark the permalink.